By popular demand we bring you a blog entry from NWTN Chair Heidi Kerschl which appeared both in the ITI Bulletin and the NWTN Newsletter. This is just to fill space and will hopefully soon be relegated to the archives as soon as we receive your blog submissions. Start writing, NWTN! 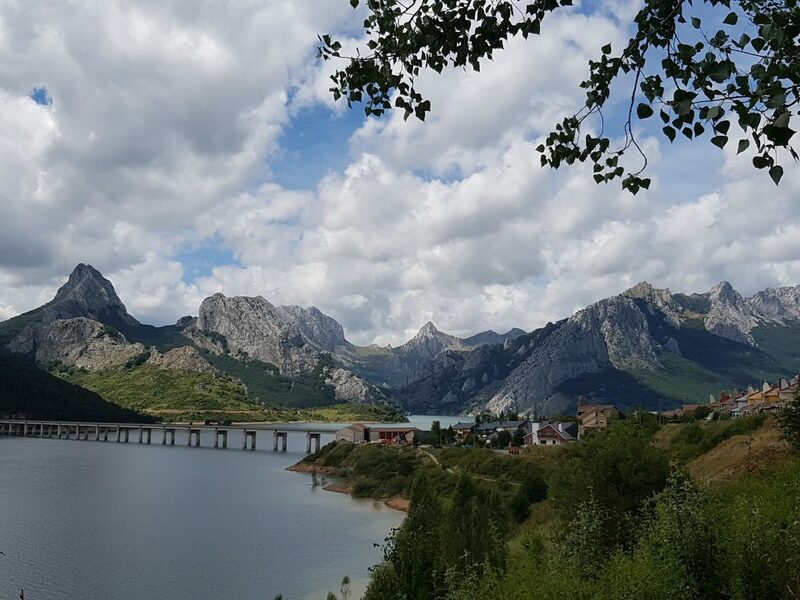 This summer, my husband, four of our friends and I decided to seek out another holy grail of motorcyclists – the Picos in northern Spain. 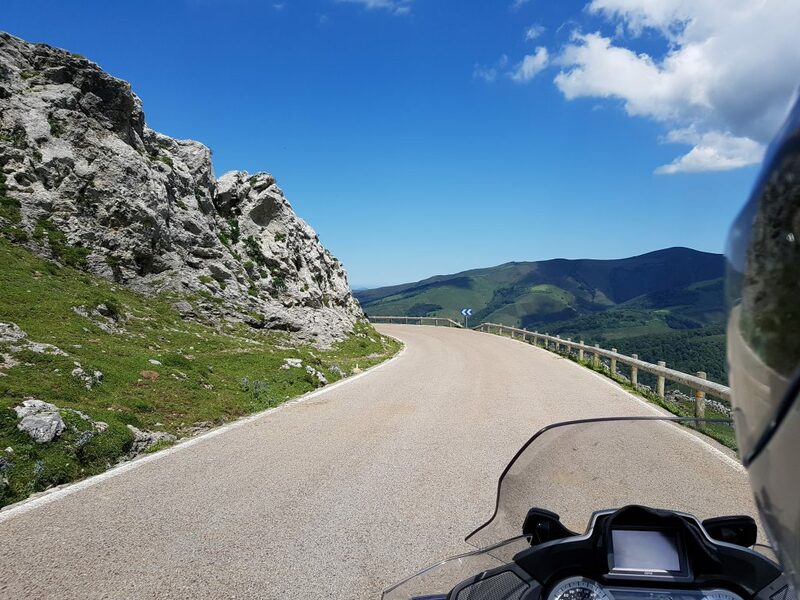 This spectacular mountain range is fabled among motorcycle tourers and had been on our radar for a number of years. As the only linguist in our group which comprised two carnivores, one pescatarian (myself), one vegetarian and two vegans, I thought I had better revive my decidedly rusty Spanish. I took audiobooks with Spanish courses and vocabulary everywhere I went for several months, and printed out lists of motorcycle and body parts that might possibly require assistance. Since our trip would also take us into Portugal, I decided to give myself a crash course in Portuguese. Again, this involved audiobooks, vocabulary lists and daily doses of the Duolingo app. I taught myself how to ask for soya milk and explain all the foods that are excluded from a vegan diet. What could go wrong? I really should have really known better. Just because you can read a language reasonably well, and even ask for a cup of black tea to be served with cold milk and an extra jug of hot water will not suffice to answer detailed questions about which local specialities and cooking methods might be acceptable to vegans. In recent years, vegetarian dishes have found their way onto the menus of most restaurants across Europe but veganism is still in its infancy. A few years ago, we stopped off at in the deepest Black Forest, and the menu consisted of four pages of different meat and venison dishes with two vegetarian options. When I explained about the vegans, the waitress responded laconically: “There is salad.” Eventually I managed to persuade the chef to prepare mixed vegetables without using butter or any other dairy produce. Since German is my native language, the barriers were less linguistic than conceptual. In Spain and Portugal, the main problem seemed to be that fish and seafood are not considered animals, and therefore even a vegetarian salad is not considered complete without a generous helping of tuna. On our travels, sometimes I worried whether we appeared to be rejecting local traditions and foods. But in Spain and Portugal hospitality means a willingness to accommodate requests that – judging by some initial reactions – must have sounded incredibly strange, and not just because my lack of linguistic skill. But everyone was very friendly and willing to help us feed the vegans. In the restaurant El Portón in the Spanish town of Zamora the head chef even came to our table and after lengthy negotiations composed three separate menus for the carnivores, the vegetarians and the vegans. At our first overnight stop in Portugal, however, my linguistic abilities came completely unstuck. The waiter spoke only heavily accented Portuguese at a pace that proved impossible for us and even Google Translate to decipher, and eventually he became so frustrated with our inability to understand him that he unceremoniously tossed cutlery and food on the table. Fortunately, we had already alerted the hotel in advance about the vegans, so at least they were served a suitable meal. For the others, it was a case of eating charred octopus or starving, and we all wished we had had the foresight to declare ourselves vegans. Undaunted by the disappointing results of Google Translate and wishing to relieve me of the burden of constantly interpreting for the whole group, my friend Michele decided to try her luck a few days later. We had just spent several amazing hours negotiating bend after bend in the spectacular Estrela mountains and desperately needed a break when we were flagged down by a man standing at the side of the road. At first, we assumed that he required our help, or just wanted to look at the motorbikes or the crazy British bikers, but eventually we reached the conclusion that he was trying to drum up business for a small roadside café. Since we were in urgent need of refreshments, we gladly accepted the invitation. Armed with Google Translate, Michele took it upon herself to order the drinks and felt it was only polite to chat with the locals at the bar. We don’t know what she told them or what Google Translate made of it, however, when we asked for the bill we were told that our drinks were on the house. In the light of our experiences, we would certainly recommend to prepare in advance. Research restaurants on Trip Advisor or https://www.happycow.net/ (yes, despite its meaty name this website is really aimed at vegans). There is nothing worse than arriving in a place late at night after a long day’s travelling and not knowing where you will find something to eat, especially if you have small children or motor bikers in tow. As translators and interpreters, we mostly assume that we can muddle through, at least in those languages of which we have some knowledge, but if you don’t speak the language at all or not fluently enough, carry a card in the local language explaining that you are a vegan or a vegetarian, and list the foods that you cannot eat. In the case of food intolerances or other medical conditions this is absolutely essential and can even be life-saving. If there is any doubt that you are capable of conveying vital information correctly in the target language(s), you should engage the services of a colleague with the appropriate target language skills. A minimum charge is a very small price to pay to feed the vegans and avoid the octopus. Heidi Kerschl, FITI, is a German translator living in the Peak District. Heidi teaches on the ITI SUFT course and chairs the North West Translators’ Network. Read more about her adventures in her blog “Backseat Rider” at https://multipurposepillion.blogspot.com/. « Guest Blog by Claire Cox. Studio 2019 – should you take the plunge?